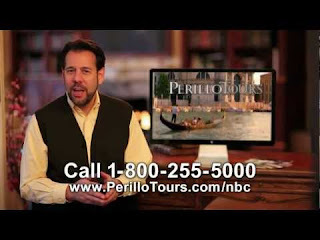 President Trump has insisted that all travel for the White House be booked by Perillo Tours because he's seen this commercial way too many times and he does remember Steve Perillo's dad. The following is the Perillo Tours itinerary developed for Trump for his upcoming international trip. May 19: President Trump departs. Biding him farewell are Senate Majority Leader Mitch McConnell and Speaker of the House Paul Ryan who will wave handkerchiefs, blow kisses, and otherwise betray their responsibilities as elected officials of the United States to millions upon millions of people worldwide. May 20: President Trump will visit King Salman bin Abd Al-Aziz in the Kingdom of Saudi Arabia. The visit will reaffirm the strong partnership between the United States and Saudi Arabia as the two leaders discuss efforts to defeat terrorist groups and discredit radical ideologies, such as the one espoused by the Kingdom of Saudi Arabia. They will also discuss ways to achieve A Great Deal! between the Israelis and Palestinians to resolve this millennia old conflict which will be "so easy even my evidently mute unqualified son-in-law could do it" and include a warranty to Israel on the West Bank of Two Years or 2,000 Terrorist Attacks, Whichever Comes First. May 23: President Trump will next accept the invitation of President Mahmoud Abbas of the Palestinian Authority to meet to discuss ways to achieve A Great Deal! between the Israelis and Palestinians to resolve this millennia old conflict which will be "so easy even my evidently mute unqualified son-in-law could do it" and include a warranty to the Palestinians on the West Bank of Two Years or 2,000 Israeli Incursions, Whichever Comes First. May 24: Traveling next to Italy, President Trump will meet with His Holiness Pope Francis at the Vatican to discuss cooperation between the United States and the world’s great religions and the Pope will explain to President Trump why references to “what would Jesus do?” will not be particularly helpful in resolving the Arab-Israeli Conflict. 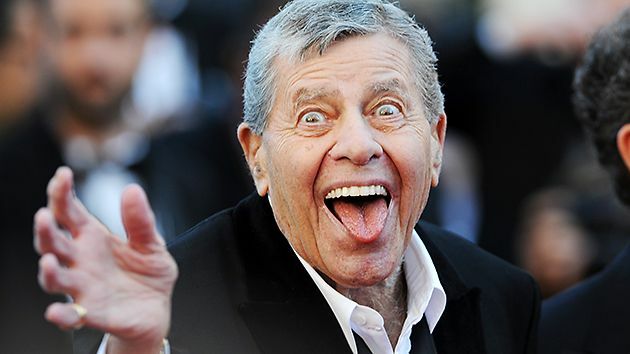 May 28: The President will return home to find a man with a well-groomed head of short white hair living in the White House. Following a period of intense consternation, President Trump will call Steve Perillo for a reasonable place to stay for the night in Washington. Steve Perillo's dad - Mario Perillo, Mr. Italy - would have been proud! *Some Boomers may remember this. I've been able to do it since I was ten. I doubt Trump would get past "one hen" or "one hen, two ducks," and certainly not past "one hen, two ducks, three squawking geese." No way past "squawking geese." Oh, Ladeees! Boy, does that guy Trump have an ego! I do not think we should encourage The Donald to travel abroad. He would be too much of an Ugly American. He has already done a considerable amount of damage to our international reputation. At the very least, he has made the rest of the world feel sorry for us. He shouldn't be allowed to travel abroad without a chaperone and preferably also without a muzzle. Anyway on the bright side it's been a broadening experience for me. I've been used to feeling sorry only for one person. Now I feel sorry for 300 million! I think the reason McConnell and Ryan were waving hankies and wishing him well, is they're hoping his plane goes down somewhere in the ocean with the only remains being a yellow hair piece clinging to a piece of driftwood. Then those crooks could go back to ruining the country their own way without Trump's constant interference. If that does work maybe Pence could but a ban on incoming flights of Air Force One or build a wall. I'm sure that's one wall the American people wouldn't mind paying for. BTW - why don't you ever visit my site anymore? Just because I didn't write about you doesn't mean you can't read it. I'll be over soon. I'll bring some doughnuts. You like cream filled or chocolate glazed? I better go with the chocolate glazed. I'm a little concerned about what you might use for the cream filling. Just the typical highly viscous somewhat cloudy fluid. Took a month to get enough.